Buying a used Drone can save you lots of money compared to a new one and you've lots of choice on the second hand market. But before investing in a used Drone it is important to check out some details so that you don’t fall into the trap. The main advantage of a buying a second hand drone is the price, which can drop by half if it has been used a few times. However, at this point it is important to consider how much more will the resell drone save you. To do this, check out the official price of the same new model and compare it with what is being sold on the second hand market. 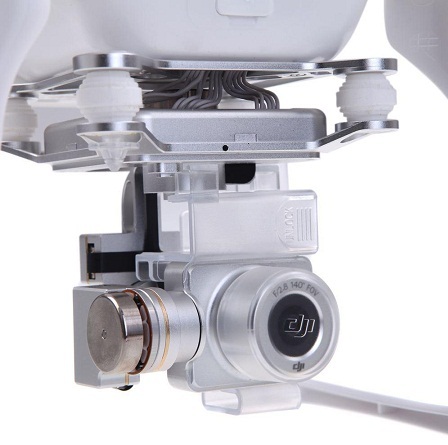 There are cases where a DJI Phantom 3 Standard, sold at retail for $ 499, is advertised on sites for $ 399. In this case, the $ 100 can already mean an economy, but it is still worth checking the topics below to be sure of the investment. It is true that one should not judge a book by its cover, but when talking about an expensive purchase, (like a drone) the brand needs to be placed in search of the ideal model. As the Quadricopter is used, it is important that it has durability. So, the tip is to check the electronics from well-known manufacturers such as DJI, Parrot, Yuneec and even GoPro with Karma. Like cell phones, older drones may experience problems over time. In this case, look for the date the model hit the market, if the software is up to date and even if there is still manufacturer's warranty. An interesting point is to analyze how the drone was accepted by technology experts when it hit stores. For this, search for drone reviews DJI Spark / GoPro Karma, DJI Spark / Mavic Pro. Many sellers usually indicate how much time the drone already has. This is important because it indicates a possible wear on the battery. Even if it is lithium and does not present addictions as formerly, the autonomy may not be more the same as when taken from the box. Also, review other drone features. There may be defective accessories such as broken internal flight sensor or defective GPS that not only cause problems during piloting but also increase the risk of accidents with the drone. When searching for a used drone observe what comes in the purchase. Many sellers advertise only the aircraft, without the gimbal, the camera or the remote control. Depending on the price, make sure the parts and accessories can be purchased separately. However, remember that you will have to install the components yourself later. Another tip in this topic is the new propeller kit that some people make available for purchase. As a second-hand machine, a new set of propellers is interesting to optimize the drone as if it were new. Just like any online purchase, it is important to talk to the seller of the drone used before the purchase to clear any doubts. In addition to researching for the reputation of the user within the site of purchase and sale, ask to test the drone. If you don’t know how to drive or cannot meet in person, request a live broadcast via Skype , WhatsApp or Facebook . The process is essential to make sure that the second hand appliance is working without problems.